Built from the Polar Lights "snap" kit. 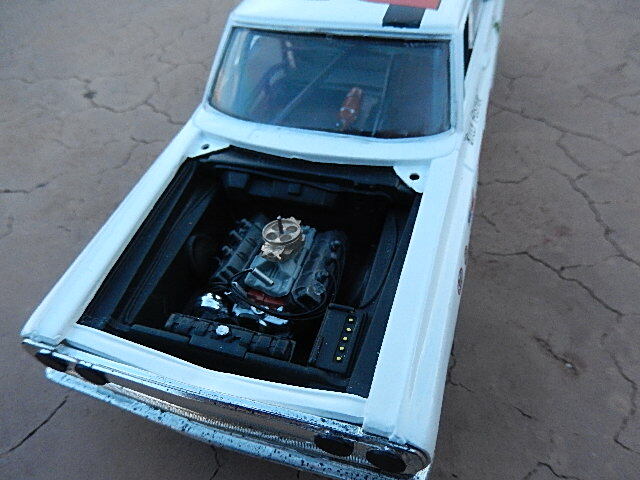 When the Polar Lights Snap 65 Dodge Kits first came out I built two of them, cut out the back seat, built a cage and just snapped it together. 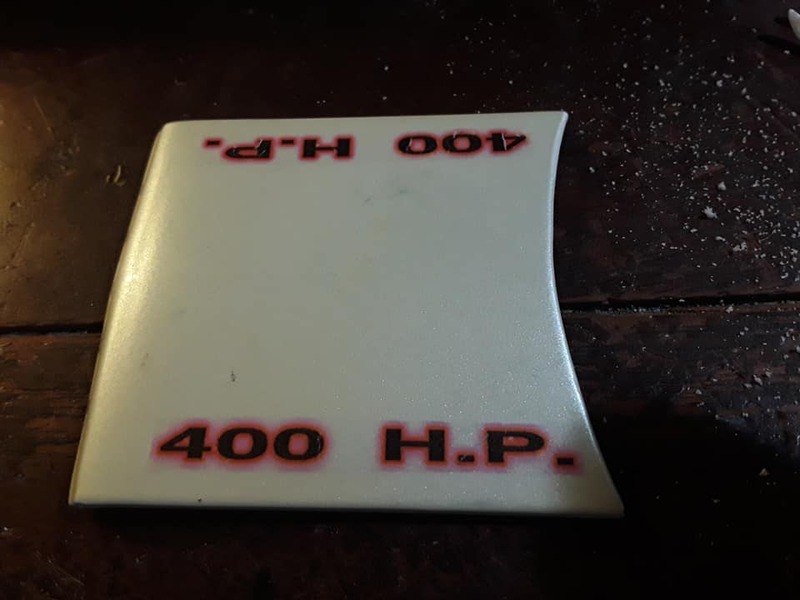 The first, this one, I didn't even paint just made some nice Nichels decals and put them on. 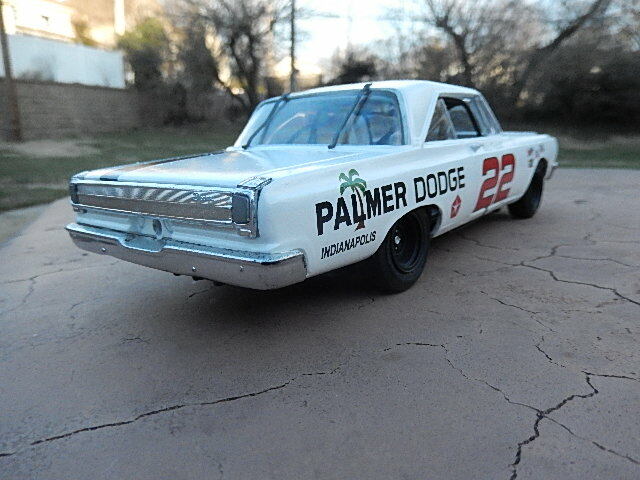 Over time the white got dirty and the decals bled from washing. I did not clear coat them. So a do-over was required! 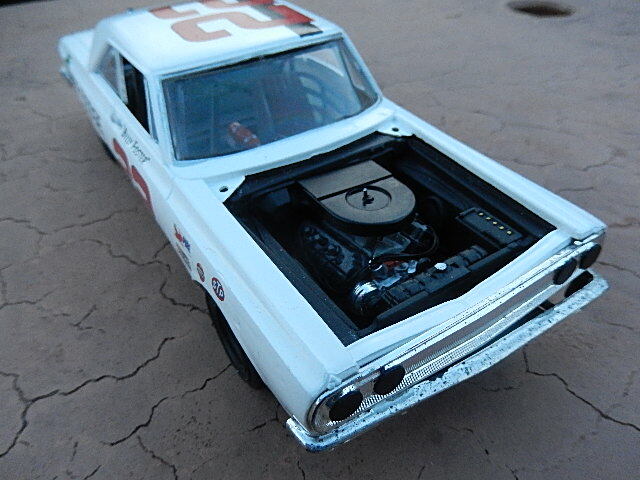 Dis assembled, Added bars to the cage, a fuel cell, replaced the snap kit wedge with a hemi, and got some cool USAC Billy Foster decals from Plastic Performance. 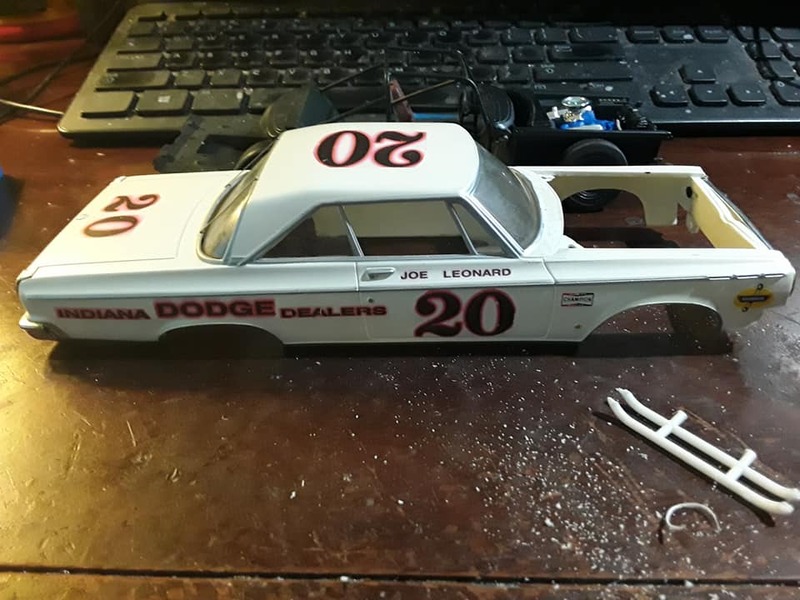 The #20 Joe Leonard car will be built from a Johan 64 Dodge, as the real car was. Dadgum!!! that's a good looking hot rod. Not to mention "obscure". Mighty fine build there. Nice build. 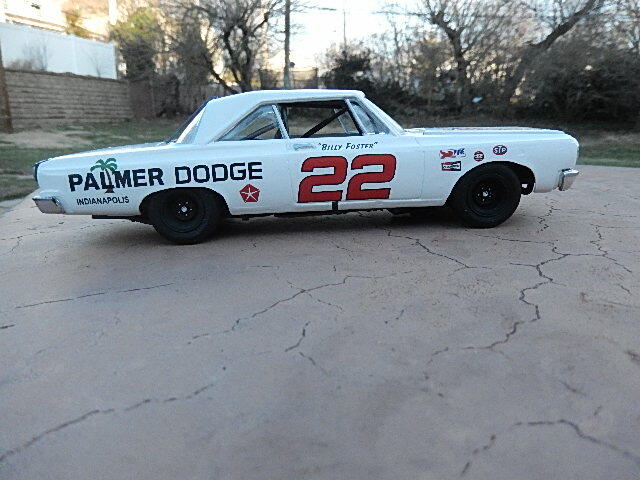 Was Palmer Dodge owned by ELDON Palmer -- Of Indy 500 pace car fiasco fame ??? Yes, that is the same person. 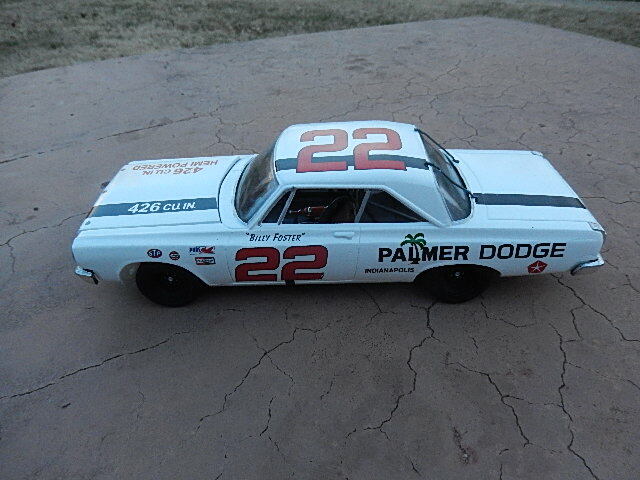 The car was owned and prepared by Rudy Hoerr. 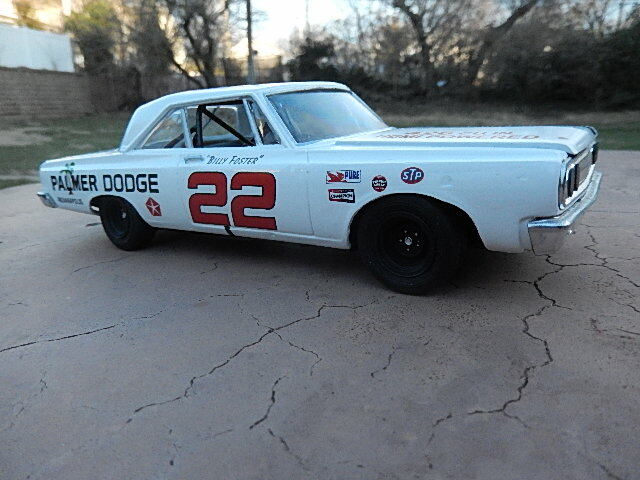 Really like seeing the builds of earlier days of NASCAR and USAC, as this is how I get to see the history of these cars, as I really didn't start following NASCAR, etc. 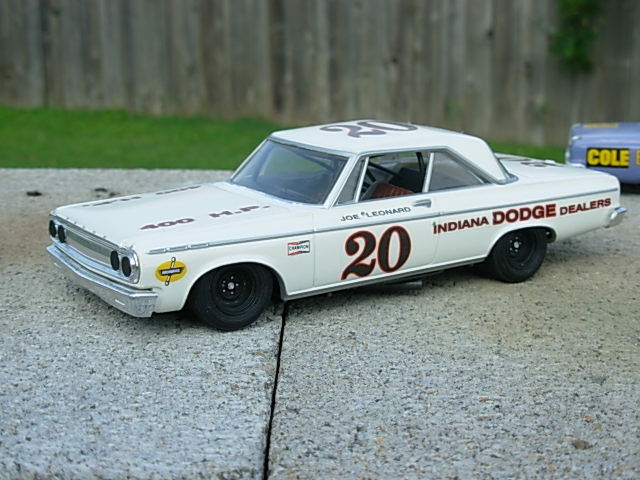 until 1968 when I found the Sept 1968 issue of Stock Car Racing magazine, and then only because it had the write up of the '68 Indy 500. 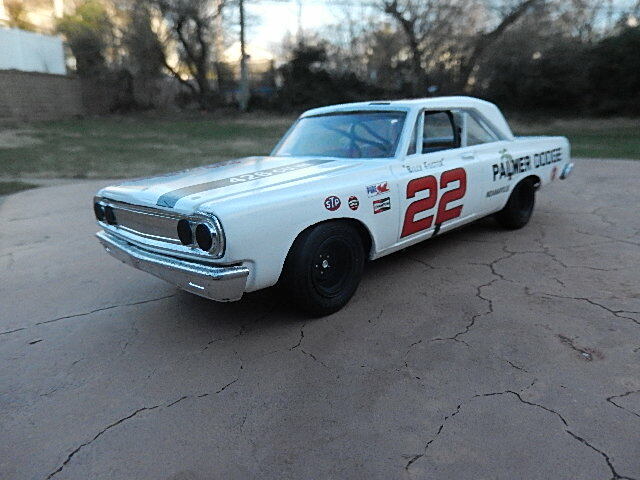 Was also about the time I started going to local races with one of my brothers who had just gotten out of a 2 year stint with the Army (too young to have a driver's license at that time) Prior to this, had only been to to 2 races,....just cant remember if the were the same year (1966) or one in 1965 and the other in '66, just before my brother went into the Army, as my dad treated him to a race at the then fairly new Fairmont, MN track. The ONLY time I remember my dad ever going to any races! Thank you Ed, good story, too!